Dr. Matthew G. Nagler is Professor and Chair of the Department of Economics and Business at the City College of New York. He also holds an affiliate appointment with the Graduate Center at the City University of New York. Before his promotion to Professor, he held the title of Associate Professor of Economics and Business at City College and the Graduate Center and, previous to that, Assistant Professor of Economics and Business Administration at Lehman College (City University of New York). Going back even further, he has held positions as an antitrust consultant, a marketing professional, and a staff economist at the Federal Communications Commission. 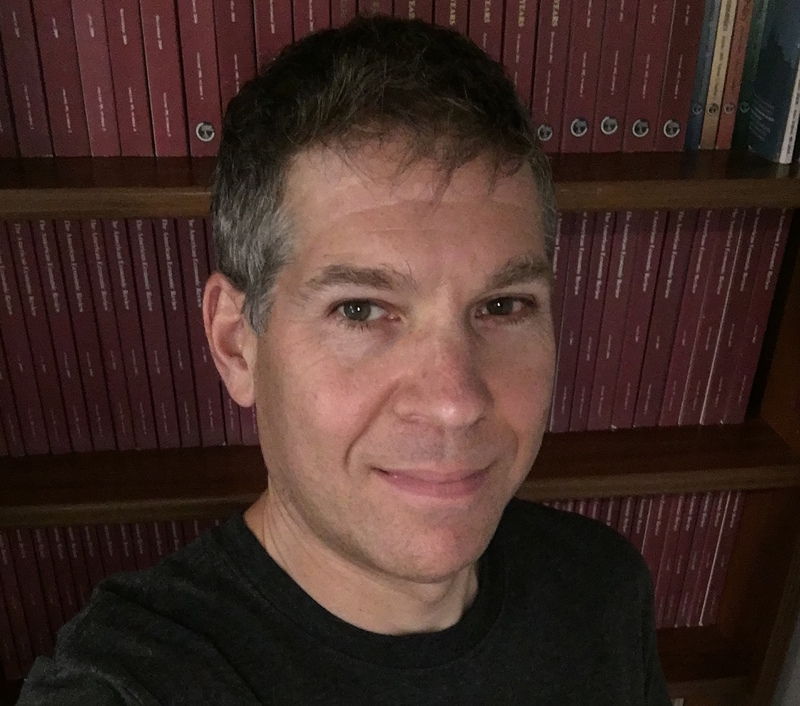 Dr. Nagler is the author of numerous refereed journal articles relating to applied microeconomics, industrial organization, behavioral economics, and social economics. He received his Bachelors Degree in Economics from Cornell University and his Ph.D. in Economics from the University of California at Berkeley. Ph.D., 1993, University of California, Berkeley. B.A., 1987, Cornell University. ECO 21150: Consumer Behavior What makes consumers tick? We study the main factors, both external and internal to the consumer, that determine consumer behavior and decision-making in the marketplace. We also examine how to research and assess the consumer behaviors that are at work in a given situation. The essential focus of the course is on implications for marketing strategy development, but ethical/regulatory considerations are also discussed. ECO 31550: Marketing Research This course is focused on providing a background in marketing research, not just to those planning to pursue careers as researchers, but to anyone who might commission, manage, or use marketing research as a part of his/her career. Applied Microeconomics, Industrial Organization, Behavioral Economics, Social Economics. To download papers, please visit my personal webpage. Social Capital and Traffic Safety, in Traffic Safety Culture: Definition, Foundation, and Application, eds. N. J. Ward, B. Watson, and K. Fleming-Vogl. Bingley, UK: Emerald Publishing, 2019. Lonely Highways: The Role of Social Capital in Rural Traffic Safety (with Nicholas J. Ward), Eastern Economic Journal, 42:1 (January 2016), 135-156. Trading Off the Benefits and Costs of Choice: Evidence from Australian Elections, Journal of Economic Behavior and Organization, 114 (June 2015), 1-12 (lead article). Negative Externalities, Network Effects, and Compatibility, International Journal of Economics and Finance, 7:6 (June 2015), 1-16 (lead article). The Strategic Significance of Negative Externalities, Managerial and Decision Economics, 35:4 (June 2014), 247-257 (lead article). On the Rationalizability of Observed Consumers' Choices When Preferences Depend on Budget Sets: Comment (with Robert H. Frank), Journal of Economics, 110:2 (October 2013), 187-198. Does Social Capital Promote Safety on the Roads? Economic Inquiry, 51:2 (April 2013), 1218-1231. Playing Well with Others: The Role of Social Capital in Traffic Accident Prevention, Eastern Economic Journal, 39:2 (Spring 2013), 172-200. The Use of Indicators for Unobservable Product Qualities: Inferences Based on Consumer Sorting (with Fredi Kronenberg, Edward J. Kennelly, Bei Jiang, and Chunhui Ma), International Journal of Marketing Studies, 4:6 (December 2012), 19-34. Negative Externalities, Competition, and Consumer Choice, Journal of Industrial Economics, 59:3 (September 2011), 396-421. Pricing for a Credence Good: An Exploratory Analysis (with Fredi Kronenberg, Edward J. Kennelly, and Bei Jiang), Journal of Product & Brand Management, 20:3 (2011), 238-249. Funding Shocks and Optimal University Admissions and Financial Aid Policies, Atlantic Economic Journal, 36:3 (September 2008), 345-358. Understanding the Internet’s Relevance to Media Ownership Policy: A Model of Too Many Choices, The B.E. Journal of Economic Analysis & Policy (Topics), 7:1 (2007), Article 29. An Exploratory Analysis of the Determinants of Cooperative Advertising Participation Rates, Marketing Letters, 17:2 (April 2006), 91-102. Regulation with an Agenda, Commentaries on Law & Economics, 2:1 (2006), 111-138. A Lemons "Mirage": Erroneous Perceptions of Asymmetric Information in the Market for Arizona Ranchettes (with Daniel Edward Osgood), Mountain Plains Journal of Business and Economics, 7 (2006), 52-63. Rather Bait Than Switch: Deceptive Advertising with Bounded Consumer Rationality, Journal of Public Economics, 51 (July 1993), 359-378.